Ok, so not that far back…. but baby chicken legs two months ago. 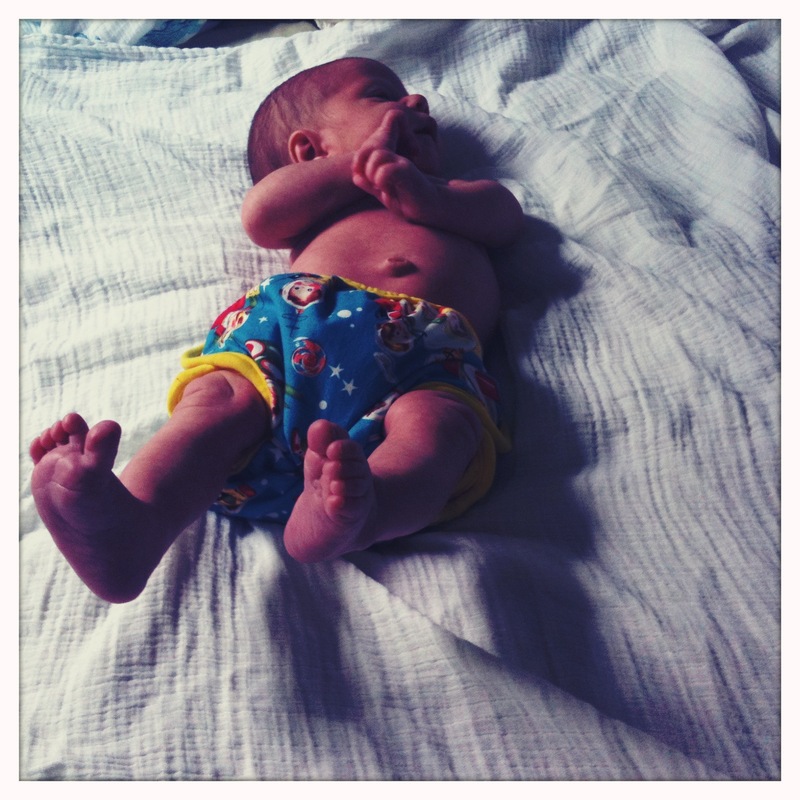 He is rockin’ GEN-Y diapers.